This little blue striped bottle is just on 3inches tall. 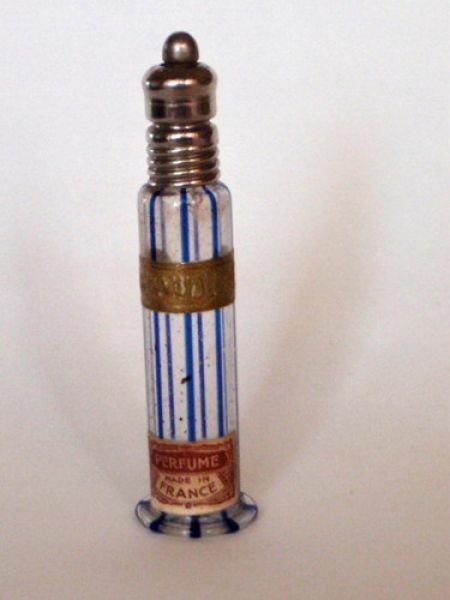 It has a gold foil label marked Parma Violet and a little paper label stating perfume made in France. A gift from my brother.